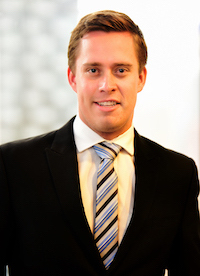 Jake M. Christensen | Greer, Burns & Crain, Ltd.
Jake M. Christensen is an attorney at Greer, Burns & Crain Ltd. in Chicago, Illinois, where he focuses on litigation and is a member of GBC’s anti-counterfeiting and online trademark enforcement team. Mr. Christensen received his J.D. and a Certificate in Intellectual Property from Chicago-Kent College of Law. While at Chicago-Kent he served as Executive Article Editor for the Journal of Intellectual Property and volunteered at the Chicago-Kent Patent Hub assisting low-income inventors in the prosecution of patents at the U.S. Patent Office. Mr. Christensen received CALI Excellence Awards in Patent Office Practice and Strategies in Intellectual Property. During law school, Mr. Christensen gained experience as a law clerk where he assisted in various phases of trademark litigation and patent prosecution, both at the U.S. Patent Office and internationally. Prior to law school Mr. Christensen earned a B.S. in Civil Engineering at Colorado State University where he served as the Executive Director of Governmental Affairs representing the interests of over 25,000 students in the local community and at the Colorado state legislature. While at Colorado State, he worked as an Engineering Intern on projects involving structural design, storm water engineering and hydraulic engineering.